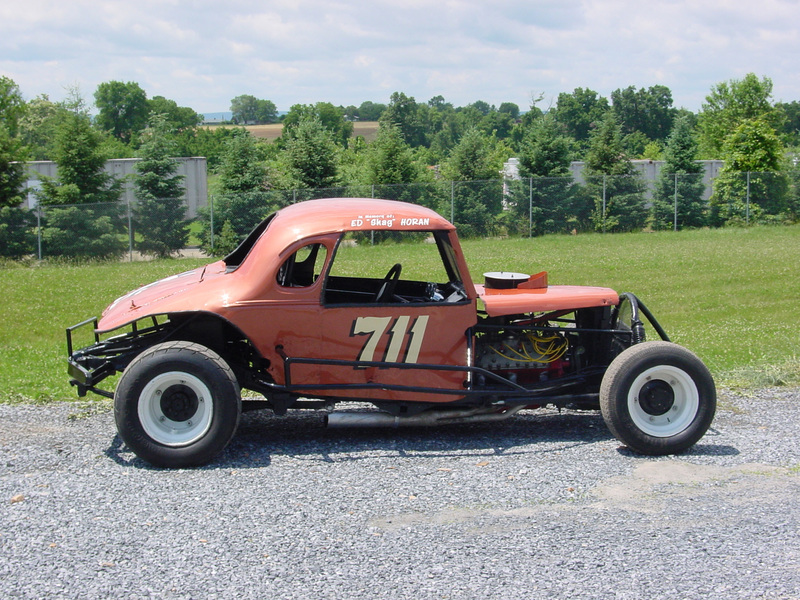 This 1937 Chevy Modified is a replica car, which represents one of the many cars built by the late Ed "Shag" Horan. 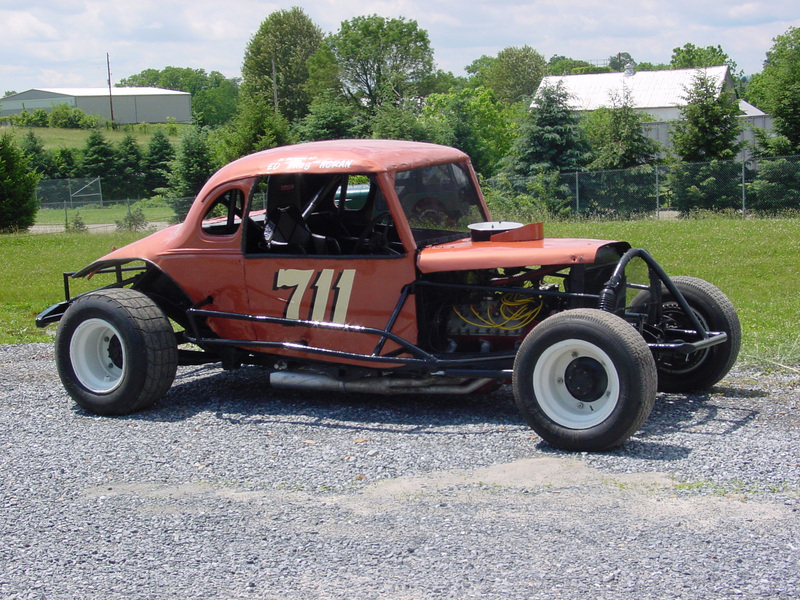 This type of car, along with many others, competed on the Reading Fairgrounds Race Track. The Reading Race Track first held races on September 20, 1924, and racing concluded on June 29, 1979. 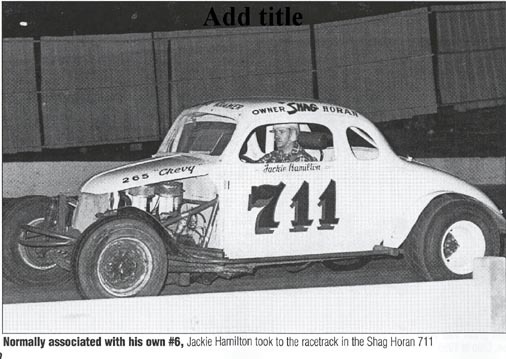 Many individuals drove Shag's number 711 including such names as Bobby Roland, Jackie Hamilton, Eddie Dee, and Carl "Fuzzy" VanHorn. 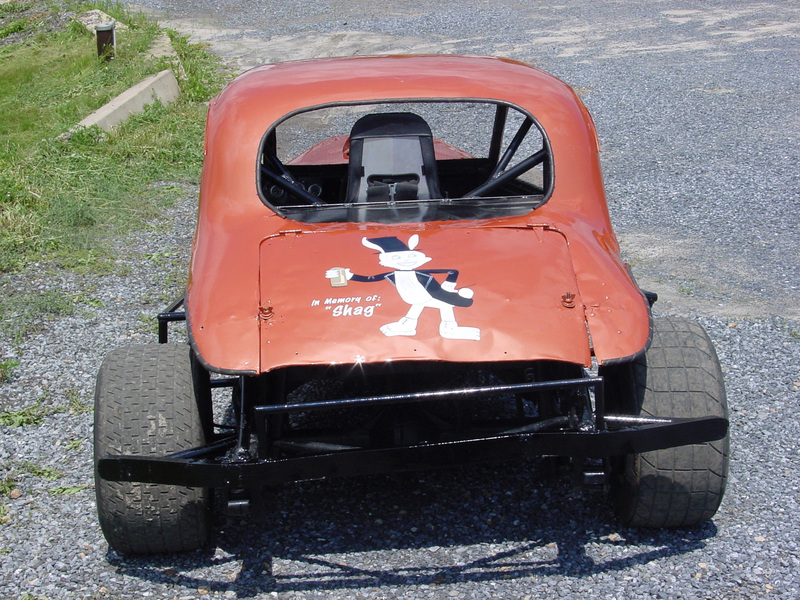 Unfortunately, Bobby Roland was killed in 1953, at the Reading Race Track when he and his brother-in-law were involved in a two car backstretch flip and fire which killed both men. 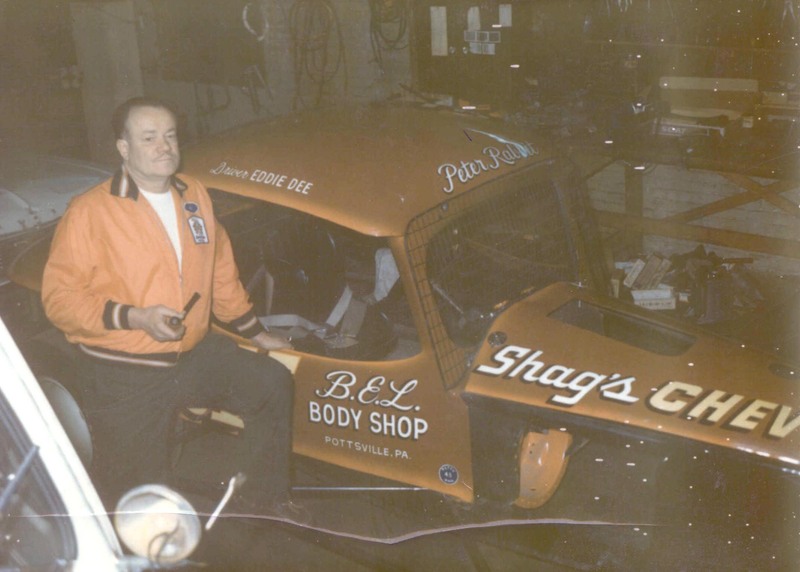 Shag's passion for the sport of racing forged many relationships with track owners, fellow car owners, and his competitors throughout the northeast. 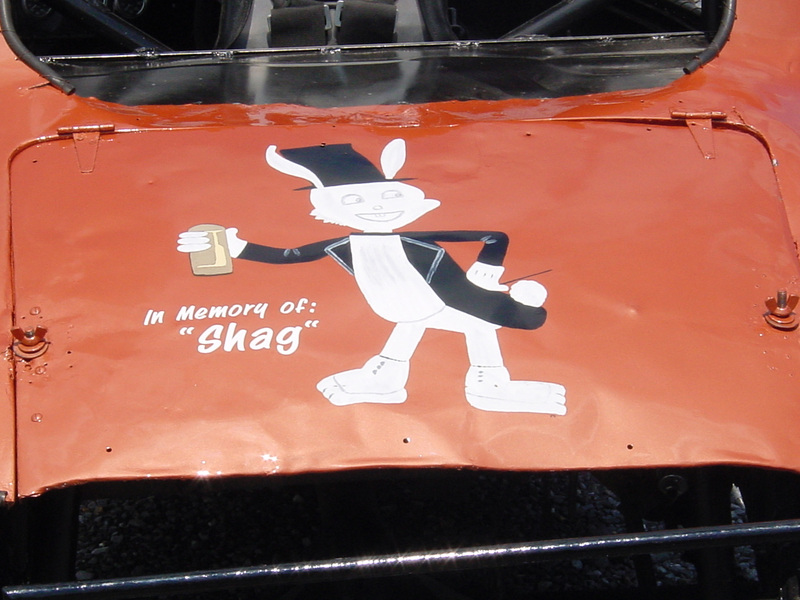 Shag, as well as the rest of the Reading Racing family, was instrumental in the countless memories the Reading Fairgrounds Race Track and Reading Fair brought to all of us who were fortunate enough to experience the excitement. 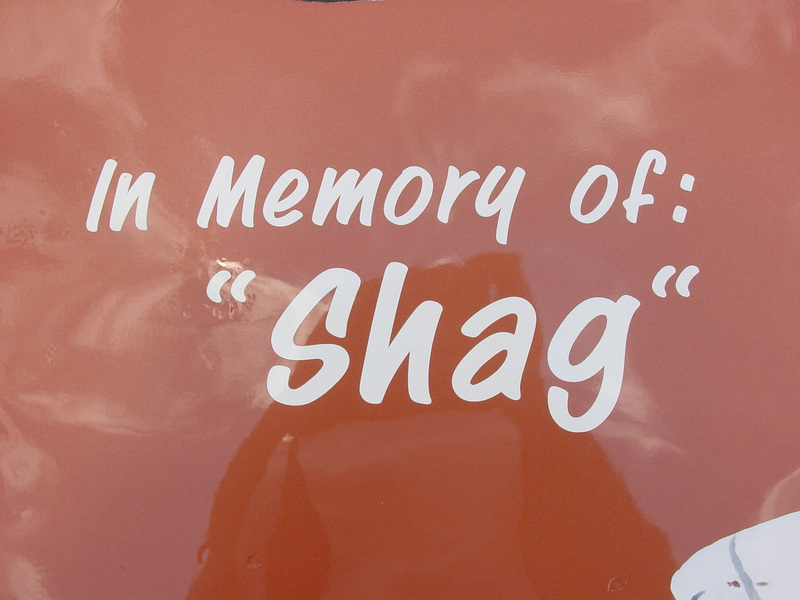 We will miss Shag and the history that passed with him.